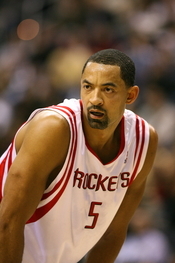 When Juwan Howard entered the National Basketball Association (NBA) in 1994, he might have been considered the George Harrison of basketball. He was hard working and, for the most part, conducted himself with class and dignity on and off the court. As a sophomore during the 1995-96 NBA season, Juwan Howard posted superstar-like numbers for the Washington Bullets. The fifth pick in the 1994 NBA Rookie Draft was immediately courted by many teams as he was about to be a free agent in the 1996-1997 season. Howard nearly became the highest paid NBA player during the '96-'97 season but had his contract voided by the NBA. On August 5, 1996 Howard returned to the folds of the Bullets after signing a seven-year contract worth $105 million. The Heat went to court to challenge the NBA's ruling. BenefitsIn the case of negotiating Juwan Howard's free agent contract it is beneficial that he is young. WriteWork contributors. "Case Study Analysis Part A (Power Play for Howard)" WriteWork.com. WriteWork.com, 24 October, 2008. Web. 23 Apr. 2019.